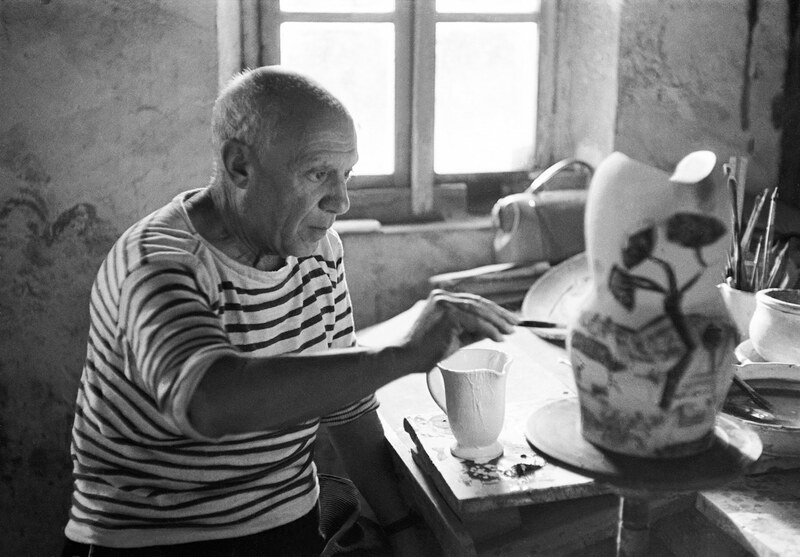 Rare, previously unpublished photographs of Pablo Picasso in his studio are now on view in Paris, offering intimate views of the artist in several of his French ateliers. 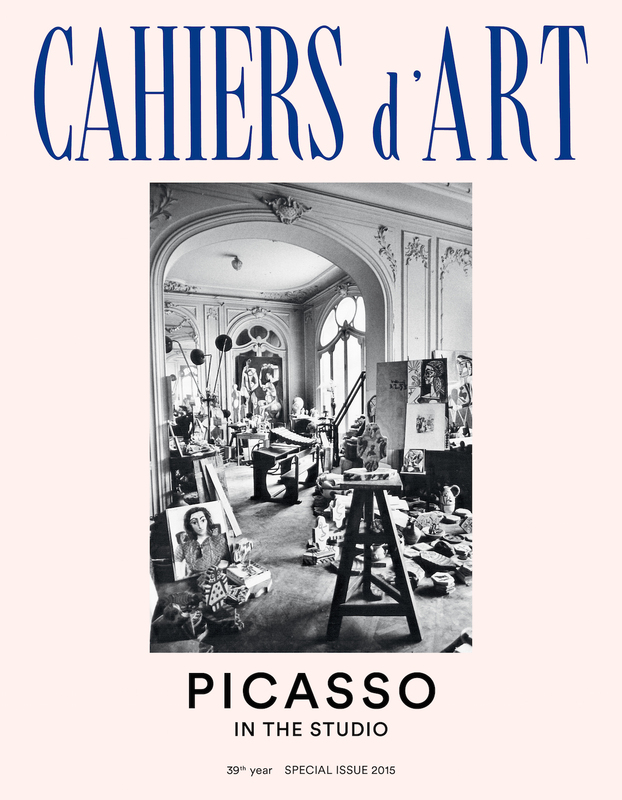 The black-and-white photographs, taken in the 1940s and ’50s by different photographers, are being exhibited by Cahiers d’Art, the gallery of the eponymous art magazine, in the exhibition Picasso: In the Studio as well as in the publication’s latest issue. 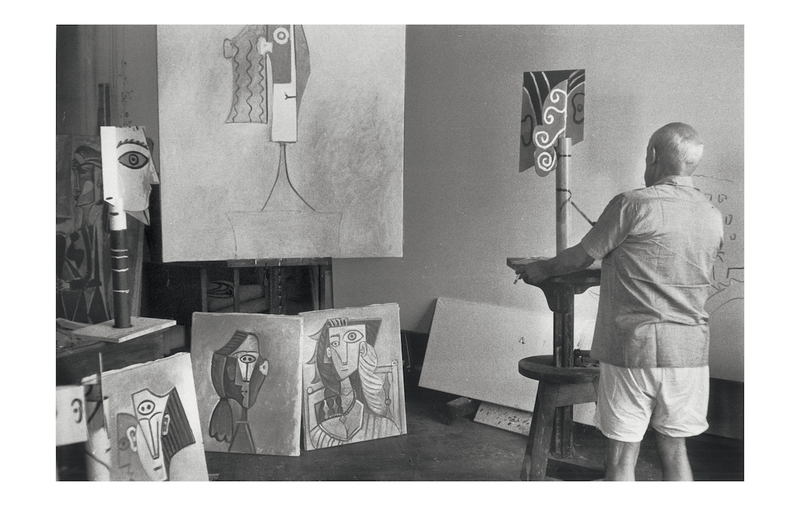 The images reveal large rooms cluttered with paintings, sculptures, and drawings — some still in progress — that speak to the sheer volume of art-making their walls witnessed as well as to the variety of material with which Picasso worked. In the photos, the painter looks at the camera, too busy at work on a charcoal drawing or painting details on a gothic pitcher, although there is in some images a sense that he is aware of the presence of a photographer. 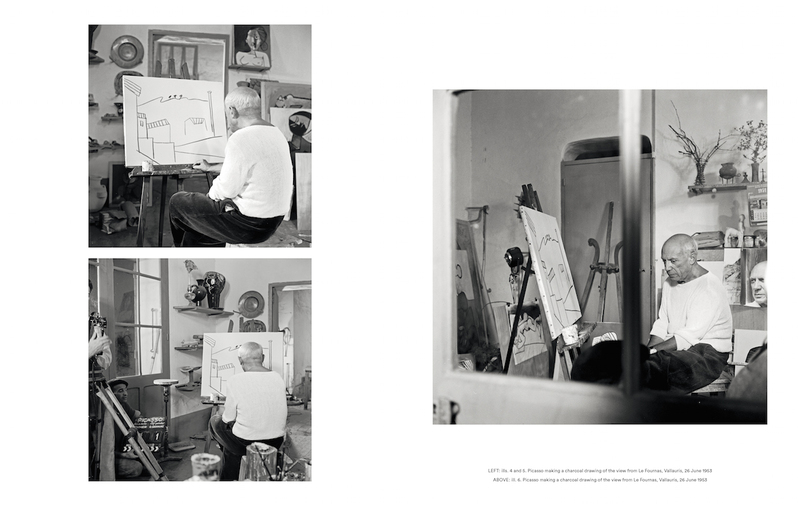 Such is the case in a series of images by Edward Quinn, who photographed Picasso in his Le Fournas studio at Vallauris. 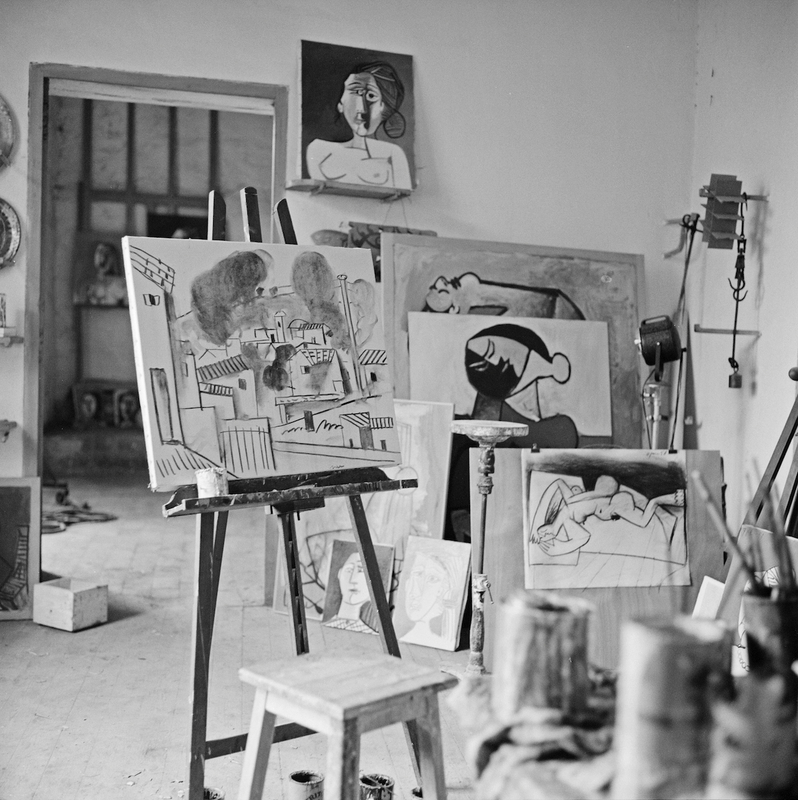 In one photograph, in which ceramic works and a number of geometric paintings of women clutter the space, the artist appears lost in deep thought, a stick of charcoal in his hand and his back towards a canvas with faint outlines of a street scene — the view from that studio. Another image taken that day, however, showing a man holding a clapboard, reveals that the painter was quite aware of his place in the spotlight: he was being filmed for a documentary about his life by the Italian director Luciano Emmer. Quinn’s photographs also trace the progression of Picasso’s process, with the same architectural drawing appearing in a number of images that show it in more complete stages. 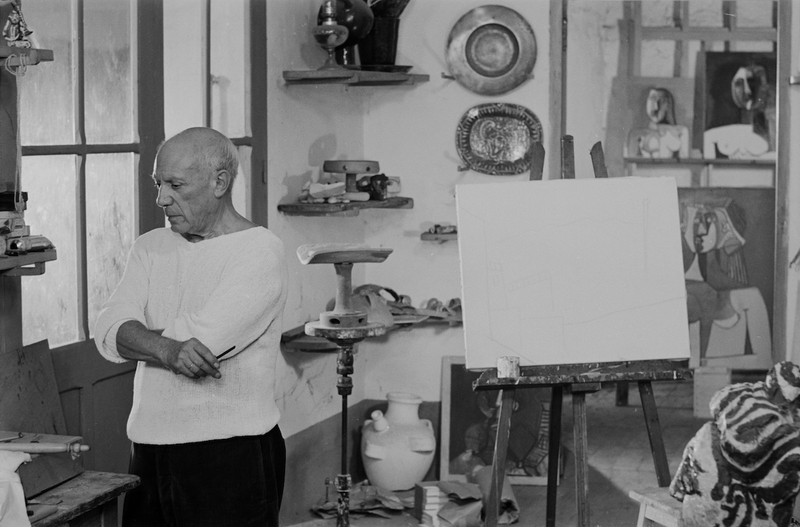 Other photographs capture Picasso unposed and appearing more relaxed. 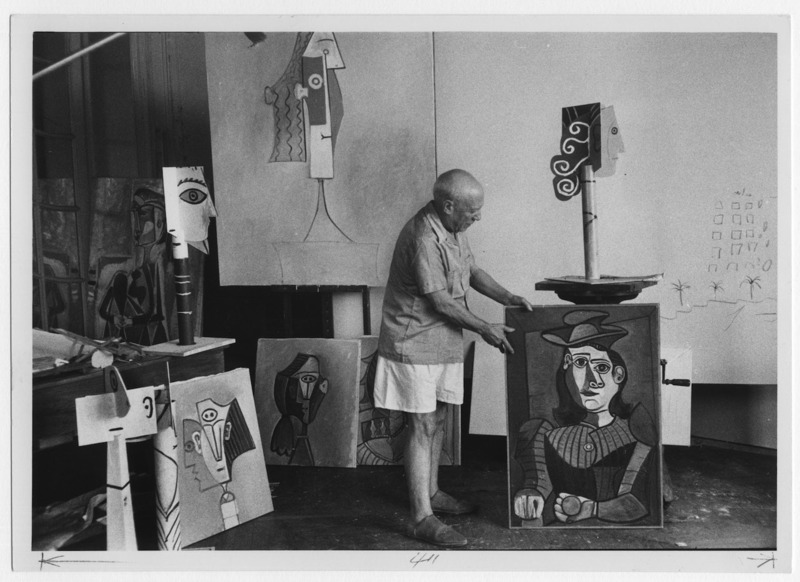 One image, by photojournalist David Douglas Duncan, shows the artist in shorts and sandals as he props up a large canvas of “Bust of a Woman with a Blue Hat.” Known for his war photography, Duncan had met Picasso through Robert Capa and was among the only photographers granted access to the artist’s private paintings, ultimately publishing seven books of his prints. 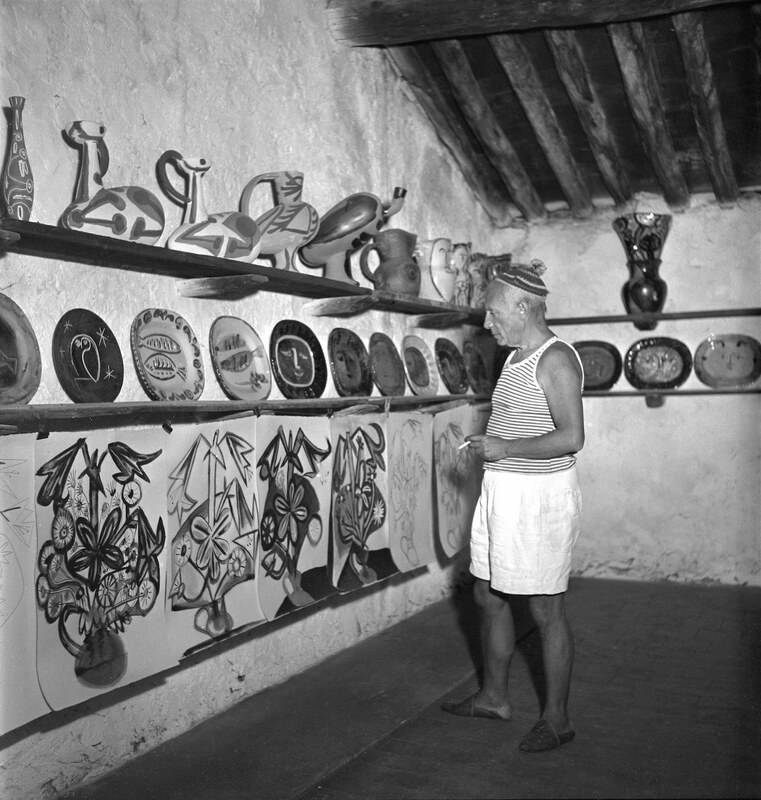 An earlier image by French photographer Yves Manciet, shot in 1948 in Picasso’s Madoura ceramics studio, shows the painter in similarly casual garb as he surveys shelves covered with plates and vases of assorted shapes, with a cigarette balancing between his fingers. 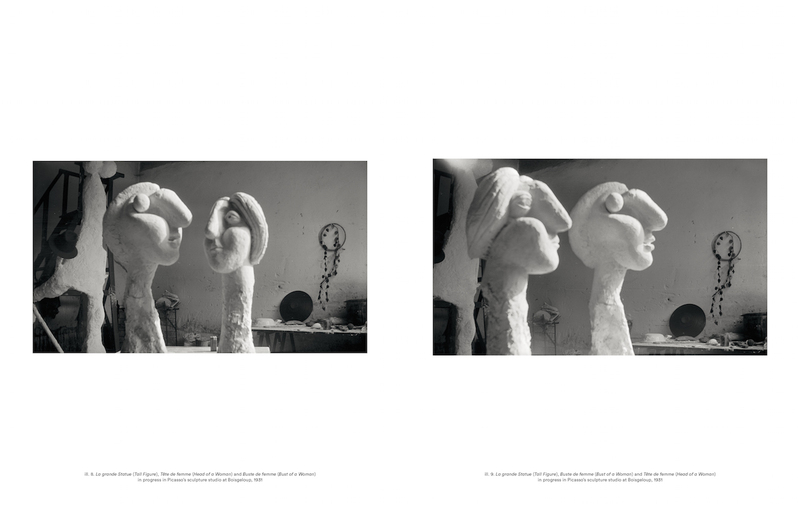 Among the earliest photographs of Cahiers d’Art’s collection are ones Picasso himself took of his sculpture studio in Boisgeloup. 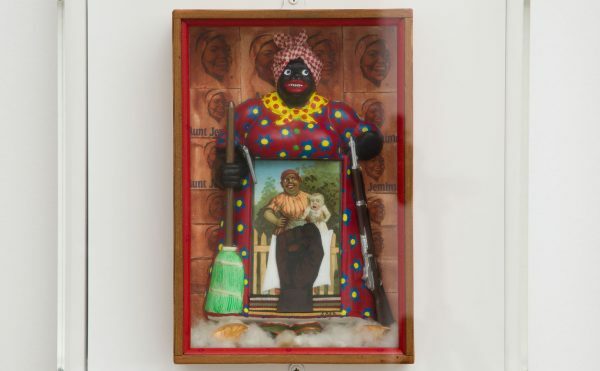 Captured with a Kodak camera between 1931 and 1932, they focus on large plaster figures with long necks and protruding features — one of them is “Bust of a Woman,” which landed at the Museum of Modern Art last year for Picasso’s sprawling sculpture retrospective. Intended as documentation of his creative process rather than for publication, the prints reveal on their backs the annotations “I.E.,” “II.E.,” and “III.E,” with the “E” standing for “états” — French for “state.” They come from the archives of Olga Ruiz-Picasso, the artist’s first wife, and were unearthed by her grandson. 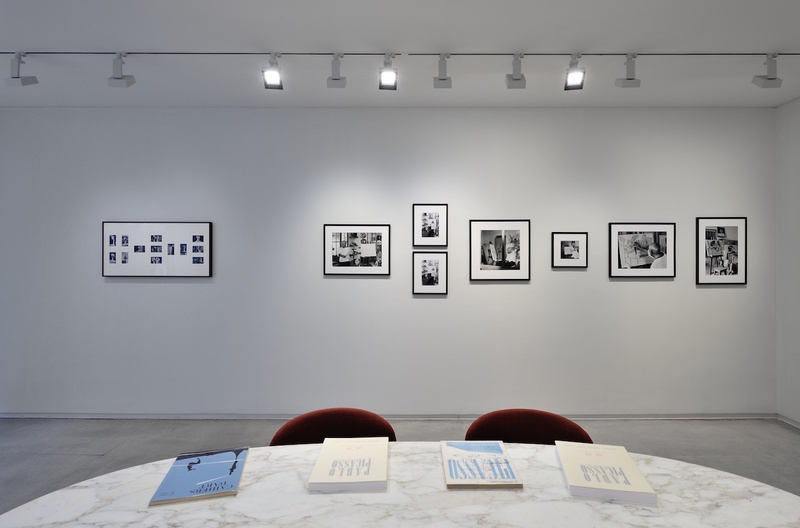 Now brought to the public’s eye, these images, along with the others amassed by Cahiers d’Art, highlight the efforts behind these works and suggest the time over which they were made. We typically only see Picasso’s finished works, but the circumstances under which they were produced are just as significant to understanding their creator. 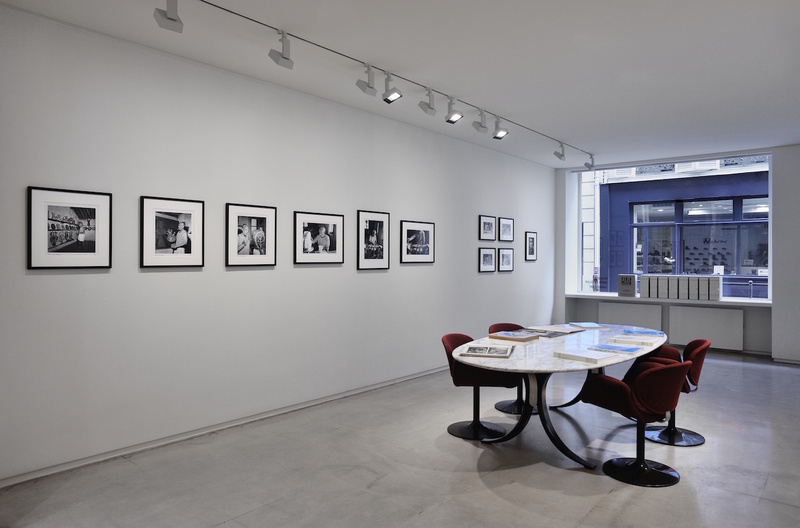 Picasso: In the Studio continues at Cahiers d’Art (14-15 Rue du Dragon, 6th arrondissement, Paris) through April 9.